Its amazing how it changes its molecular structure when it comes in contact with water & then reverts back again. We did this at school. Im still as thick now as I was then ! azriel wrote: Its amazing how it changes its molecular structure when it comes in contact with water & then reverts back again. are you talking about Petty again? are you talking about Petty again? ....................Mrs Figg. Doesnt take much to get a correct guess ! Stop talking about water and baths!!!!! Amazing display of nature's power in Chile today. I didn't even know about this! The lightning is cool. This Bridal Shop Has A Mannequin That Holds A Dark Secret. The Secret Is Very Morbid. As it states in the report.....its those hands a bit too life like. Big earthquake in Nepal. 22 killed in this avalanche. 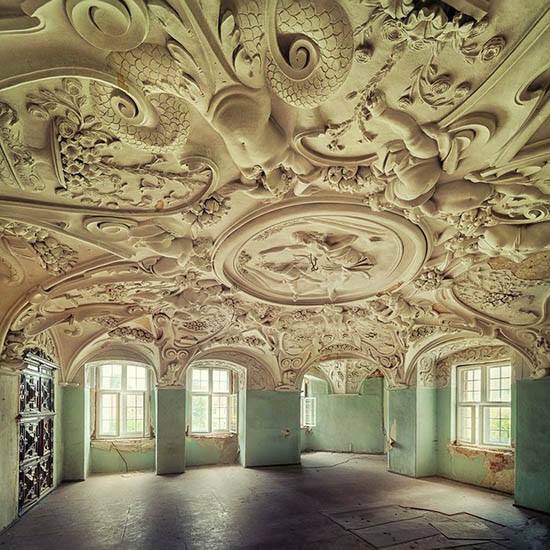 An abandoned Castle in Germany, Gorgeous ceiling !! Featuring such questions as "Is it proper for women to be learned? "; "Dancing, is it lawful? "; and "What is love?" But, that was actually interesting reading & not as narrow minded or blinkered as I expected. Yeah, it's interesting to see both what has changed and what has stayed largely the same over the course of 300+ years.